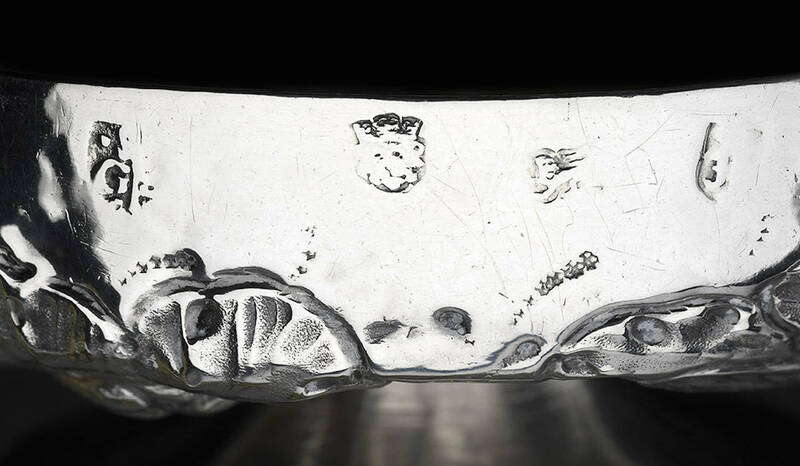 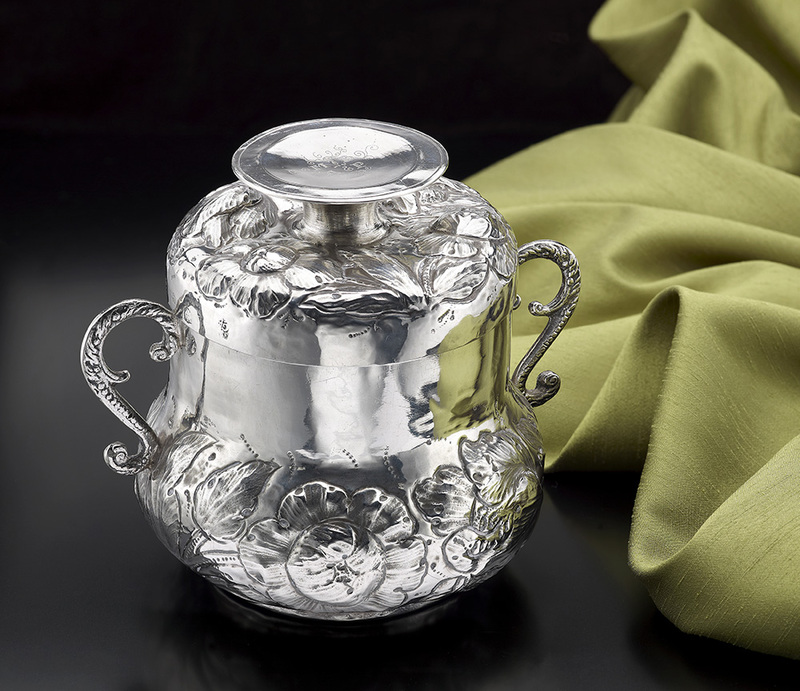 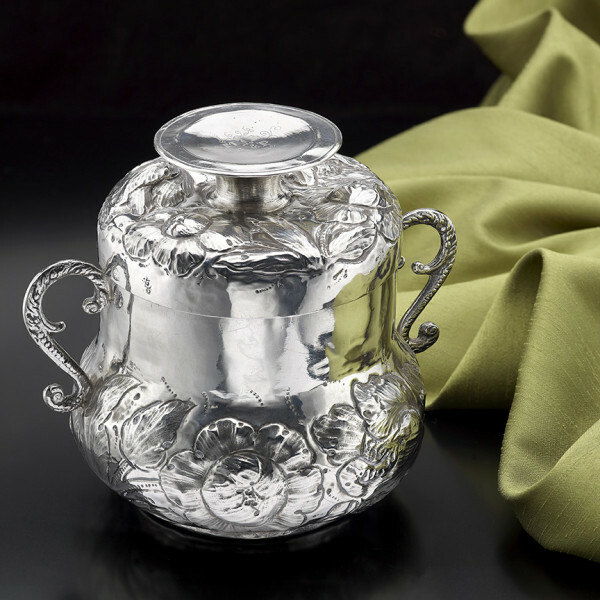 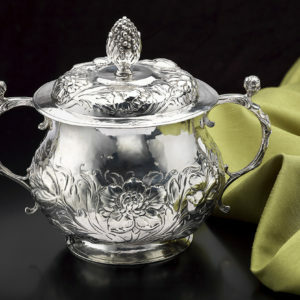 A very rare Charles II Silver Caudle Cup with cover of ‘pear shaped’ form and ‘reel shaped’ handle; fully hallmarked on the cup and cover for London 1663; the maker’s mark is GS with a crozier in between and is attributed to Gilbert Shepherd – see Jacksons page 123. 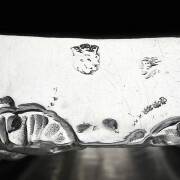 The Silver piece is approximately. 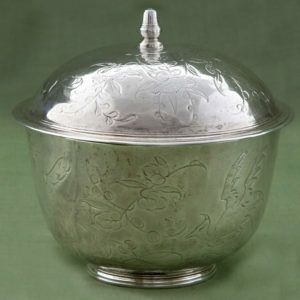 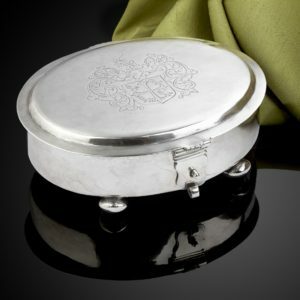 6 inches tall, and 4 ¼ inches in diameter across the Silver top, and 6 ¼ inches across the handles; it weighs 12 ozs approx. 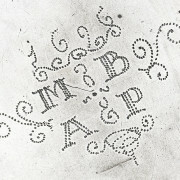 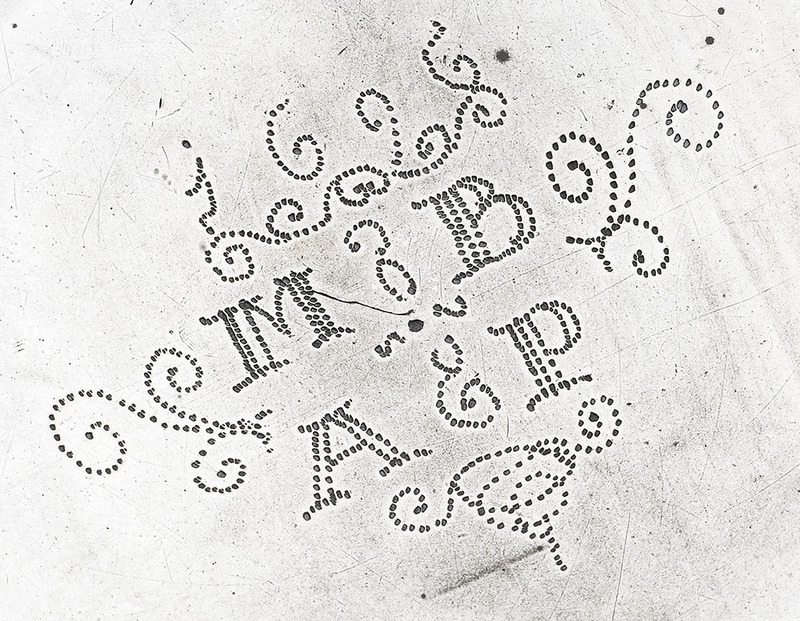 On the top of the handle there are scratched initials MB over AP along with date 1696 indicating that it was given as a marriage gift at that time.